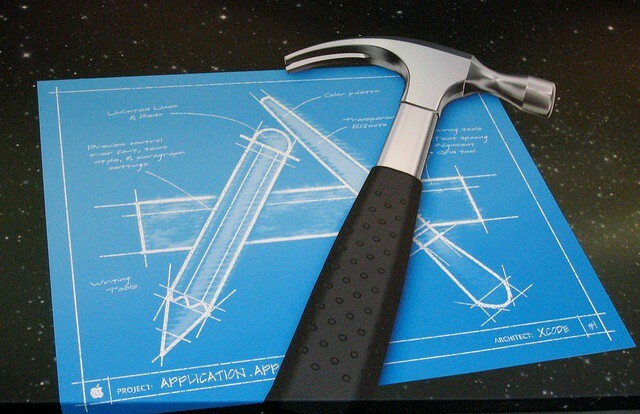 Xcode joins a long list of new software from Apple today. Apple has updated Xcode this morning to introduce compatibility with OS X Mountain Lion, which was released earlier today, and iOS 5.1. The update also brings support for the new MacBook Pro’s high-resolution Retina display. SDKs for OS X 10.8 Mountain Lion and iOS 5.1. Code completion persists your selections to give more accurate suggestions. Objective-C @synthesize command is generated by default when using properties. Objective-C adds literal syntax for numbers, arrays, dictionaries, and expressions when developing for OS X.
Apple LLVM compiler supports additional C++11 features, including lambdas. Assistant editor tracks caller or callee for the current selection. New localization workflow can share a single base .xib file for multiple locales on OS X. Source control can commit individually selected changes. ARC migration tool converts both retain/release and garbage collected code. Fixes an issue where code completion could fail, requiring the user to delete derived data. Xcode weighs in at 1.46GB, and it’s available to download from the Mac App Store now.